Personally my favourite kind of holidays are those where I can leave everything behind me and completely unplug from my usual surroundings. But let us face the truth, how often will this idyllic idea of a vacation actually be true? Unless less you are heading to a palm fringed island far offshore, it will be very likely that you are travelling with and using your phone, tablet, or notebook – or all of it. So instead of being just extra baggage why not use it to keep your holiday running smoothly, keep track of your journey and share some of your best moments with your friends at home. I am sure the following travel apps will not just please the digital geeks, when used wisely, they can enhance your travel experience too. Findery and Fieldtrip are both apps that become very handy if you are exploring a city on your own. Do not expect the typical “eat here” or “sleep there” recommendations though, but rather a guide that scans the surrounding near you to discover local knowledge and hidden secrets. Assume you are walking on a street and would like to learn more about that mysterious statue across the street. If it is in their database, both apps will tell you a story about it or even show pictures from the old days. However, in my opinion both apps are aiming to deliver the same information; the main difference is their source of information. Findery’s content is solely created by users for users and has a more personal approach. Stories are more individual and add a personal touch to the city and your explorations. Fieldtrip, on the other hand, is Google software that benefits from a huge database and uses third party information. Turn on your GPS, you will be surprised how much you did not know about your home city. 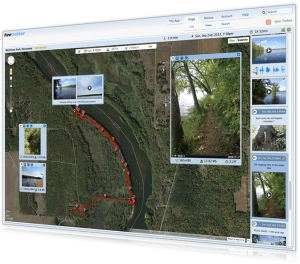 I love Livetrekker because it tracks your whole journey via GPS while letting you add pictures, videos, and comments to each destination. At the end of your trip you have an elegant map with all of your memories on it. Especially for people like me, who are likely to not remember every place they have been to after a few years, this is a great feature. Back up your data with cloud service and share it online with your friends and fellow travellers. Great for abroad travellers; there is also a disconnect feature, which enables you to record your path but only synchronizes your data once you find free Internet. Whether it is your flights, car rentals, hotel reservations, or sightseeing tours, there are a lot of documents to keep track of during your trip. The apps Tripcase and Tripit will help you keep your peace of mind while keeping all of your information in one place. There is no need to search for lost confirmation emails or missing a flight. Both apps feature notifications to keep you updated about your trip. I have used both apps for a while and could not decide which one I prefer. 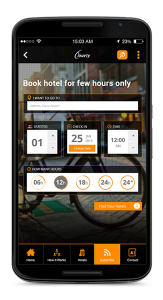 Unfortunately, the app 6hourly is only interesting for people who want to travel to India; it is a new Online Reservations Platform that is not bound to the 24h standard check in hours. From a minimum of 6 hours you can make a reservation for the time that you actually want the room for. This is great for late arrival guests, transit passengers, or for those of you who want a quick shower and break to relax. The platform features all hotel standards from budget to boutique. The good news is, according to the CEO, there are plans to extend the service throughout all major Asian cities – go for it! We all have experienced it; we think we know our bodies well enough to tell when it is time to leave the sun. However, the next morning our shoulders are burning and our nose shines brighter than the sun. 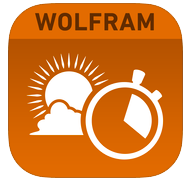 The app from Wolfram Sun Exposure is a great tool to avoid sunburns and while getting the most of the sun. Just enter your location, skin type, time, date, and the level of sun protection and the app will calculate how much time you can spend safely in the sun. It also tells you if your current sunblock is insufficient. By now, there are plenty of apps available that assist you to keep track of your and four friends expenditure. Trip was designed from scratch to manage your travel expenses. While having the normal features of who paid what and who benefits from it, it also lets you enter the different currencies and helps to find locations near you. Business travellers might want to look into Expensify, an app especially developed to keep track and report your expenditure to your accountant. 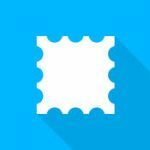 Who doesn’t prefer to find a postcard in the mailbox over the 101 notifications of your mailing service that you have received a new email. The app Touchnote allows you to combine the traditional approach of sending post cards with “new” technology. Scroll through the pictures on your phone, select the best shots, create a single picture or collage, add some nice words and post it to your loved ones at home – all from the comfort of your phone. 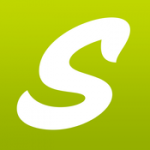 The app is very user-friendly letting you use the touch control to resize, move, and zoom into the selected picture. A little extra feature I enjoyed was the Google Map picture that you can add above the “To” address, if you GPS is active. If you have your mobile phone handy, you might just use it to find out how much your souvenir really costs. Especially when travelling in Asia exchange rates are sometimes complicated and confusing. 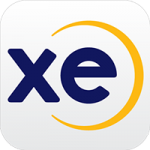 Using the XE app will assist you to pay the correct fares and can save you some bucks on your trip. And for the sake of my love for it, I do have to mention this awesome travel shirt from Iconspeak T-shirt. Yes, it is not an app, but it does work if you are indeed heading to a remote island or if your battery is dying. Or just let a professional tour operator plan and organize your vacation so you can focus on the most important part – Relaxation! Warning: ensure you turn off your work email and activate the silent profile on your mobile phone for a relaxed recreative holiday. ← Nepal, where to travel after the earthquake?